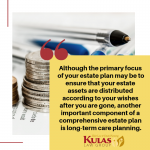 A well-rounded estate plan should do more than just ensure your assets are distributed according to your wishes at the end of your life. It should also help ensure that you are financially stable throughout your lifetime and well cared for during your retirement years. 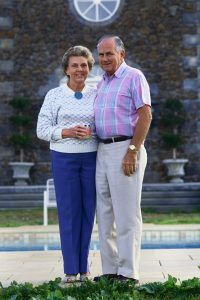 To accomplish these additional goals, long-term care planning should be included in your estate plan. Each year, October is designated as long-term care planning month in the United States, making it the perfect time to make sure you have included long-term care planning in your estate plan. The costs associated with long-term care can put your retirement nest egg at risk if you failed to plan ahead. What Should Be Included in Your Long-Term Care Planning Component? When creating a long-term care (LTC) planning component within your comprehensive estate plan, there four major decision categories you will want to include: housing, health, legal and financial. Health – the longer you live, the better the odds are that you will need to spend time in a long-term care facility. When you enter your retirement years you already stand a 50-70 percent chance of needing some type of LTC services before the end of your life. Nationwide, the average cost for a year in LTC was over $80,000 for 2017. In the State of Florida, you can expect to pay more than the national average. That same year of LTC averaged over $105,000 in 2017 for Florida residents. Considering the average length of stay is about three years, your nursing home bill could easily run over $300,000 – and that is if you need LTC now. In just ten years, experts estimate that same LTC bill will run over $400,000. Because neither Medicare nor most basic health insurance plans will cover LTC expenses, you will either need to be prepared to pay out of pocket or you will need to look ahead to the need to qualify for Medicaid. Housing – Where will you live as a senior? If you plan to relocate, what is the cost of living where you wish to live? If you plan to stay where you are, does it make sense to downsize? Is joining a retirement community or purchasing a smaller home the best choice? 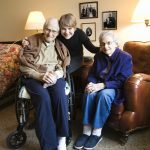 What resources are there in your community for seniors? Be sure to consider all of these factors before you reach retirement age. Legal — This process will primarily involve drafting legal documents to ensure your wishes are carried out in the event that you are unable to make decisions for yourself. As part of your estate plan, you should have, at a bare minimum, a Last Will and Testament, a living will and a medical power of attorney. Along with ensuring that your estate is distributed as you wish, these documents will also ensure that your wishes with regard to medical treatment are honored and that someone of your choice makes decisions for you if you cannot make them yourself. Financial –– one of the most significant factors in any long-term care plan is cost. Once you know what you want and need, you’ll want to plan for how to cover that cost. If you already have a separate retirement plan, now is the time to make sure that your estate plan and your retirement plan work in harmony with each other. It is also the time to review your overall financial picture to make sure you can afford to live comfortably during your retirement years. Medicaid planning may also need to be added to your estate plan to protect assets and ensure eligibility for Medicaid to help cover the high cost of nursing home care if you need it down the road. For additional information and assistance, please FREE estate planning worksheet. 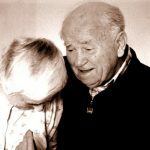 If you have specific questions about long-term care planning, please contact the experienced Florida long-term care planning attorneys at Kulas Law Group by calling (772) 398-0720 to schedule an appointment.